A Senate resolution to end US support for Saudi-led conflict in Yemen shows that the politics of war are finally evolving. In 1973, as President Richard M. Nixon escalated an unauthorized bombing campaign in Cambodia, Senator J. William Fulbright (D-AR) asked, “Does the President assert—as kings of old—that as Commander in Chief he can order American forces anywhere for any purpose that suits him?” Later that year, Congress answered unequivocally that he could not, overriding a presidential veto to authorize the War Powers Act. Forty-five years later, the Senate took an important step last week toward reclaiming the war powers that Congress has abandoned in recent decades, especially as US military adventurism in the Middle East grew in the wake of the terrorist attacks of September 11, 2001. 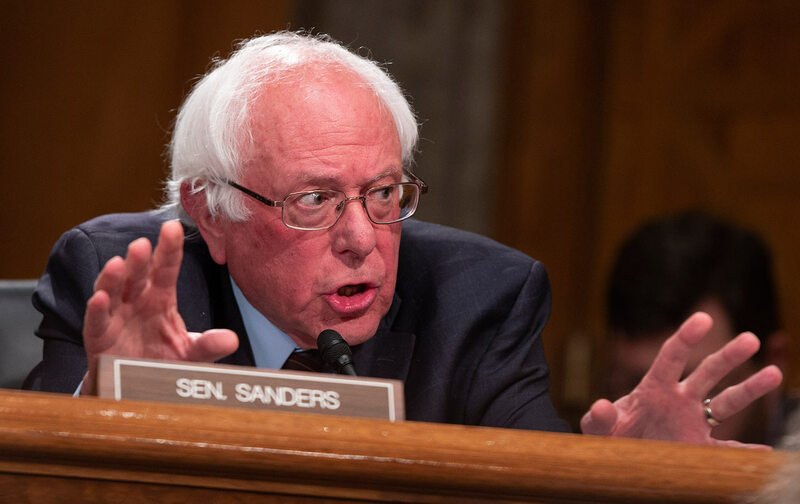 In a surprising 63-to-37 vote, the Senate advanced a resolution introduced by Sen. Bernie Sanders (I-VT) that would end US support for Saudi Arabia’s devastation of Yemen. As the first time a war-powers resolution has ever advanced in the Senate, the vote marked a dramatic move toward returning control over matters of war and peace to Congress. It is also a testament to the power of antiwar activism—in the halls of Congress and at the grass roots—to force a reckoning with the consequences of the United States’ endless and unauthorized wars. The fighting in Yemen, ostensibly a proxy war between Saudi Arabia and Iran, has created the world’s worst humanitarian crisis. Since the conflict began in 2015, the Saudi-led coalition has launched more than 18,000 airstrikes, including the August bombing of a school bus that killed 40 children. An estimated 85,000 children under the age of five have already starved to death; another 14 million Yemenis—half the country’s population—are on the brink of famine. A cholera epidemic that broke out last year is accelerating, with officials reporting 10,000 new cases each week. Growing more desperate by the day, some civilians are selling their own organs to survive.